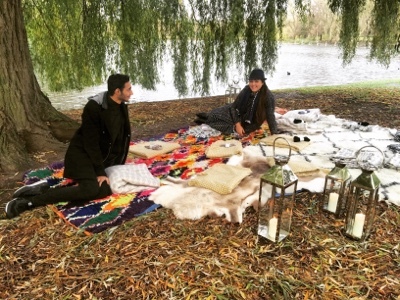 A few weeks ago I enjoyed a blissful breakfast and meditation morning with Sönd skincare in the peaceful setting of Regent's Park. Meeting under an ancient willow tree besides the river, Being Human run complementary meditation sessions every Wednesday morning for those in need of mid-week rejuvenation. 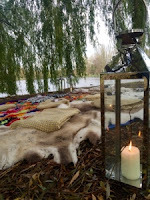 Piled high with gorgeous crochet rugs and fluffy hides, the lantern lit setting is available come rain or shine. During summer when my morning motivation is higher, I'm planing to make this part of my weekly regime. 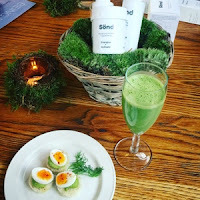 Afterwards we glugged green juice in the Regent's Bar and Grill, and I made a mental memo to visit again during the warmer months when the big windows would allow us to be at one with the surrounding nature. 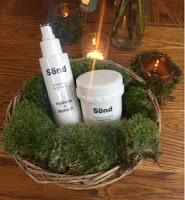 We were then introduced to Sönd, a new anti-aging skincare brand specifically for sensitive skin. Heroing the use of Silica sourced from quartz, the brand offers both supplements and skincare to help replenish the presence of silica. I'll write a follow up post in the new year to report any changes to my skin, so watch this space!